I appreciate your anger against the gruesome Paris attack that killed 129; injured 352 and left 99 in critically serious condition. Your suggestion to adopt Gandhian policy of ‘Ahimsa’ to tackle terrorism is worth pondering. Your tweet urging the citizens of the universe to seize the world from the archaic and bloody hands of politicians, who in their bid to fulfill their petite selfish goals seek solutions through war, is also commendable. I am aware that you are a patriot and have great regards for the Father of the Nation, Mahatma Gandhi and your suggestion of Ahimsa too seems right; looking at growing intolerant. 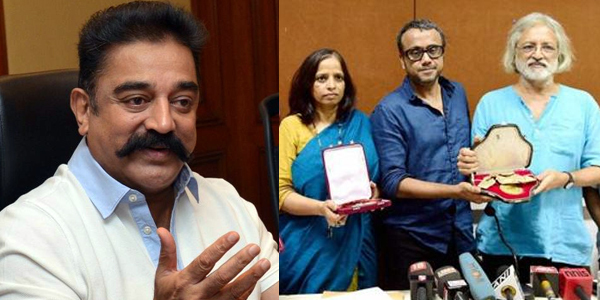 But what is amusing is that when a group of writers, filmmakers, Bollywood actors, historians and scientists adopted the Gandhian policy of protest against growing intolerance in India by surrendering their prestigious National Awards, Mr. Kamal Haasan, you criticized their mode of protest. Condemning the 'Award Wapsi' protest you said, "Nothing will happen by returning awards as returning awards is a futile exercise." Instead of retuning awards you emphasized to have a debate on intolerance. But Mr. Kamal Haasan, every day we are bombarded with several debates on national TV and most of the debates that sound intellectual eventually reduce to shameful brawl and scuffle. And mind you same is the pitiable picture of debates in our ‘respected’ Lok Sabha!!! What’s more Mr. Hassan, you talk of reviving Gandhian policy but what about people in India who are reviving Nathuram Godse, the man who shot died Mahatma Gandhi and openly claim Gandhi to be the cause behind division of India. On November 15, two Hindu Organizations viz. Akhil Bhartiya Hindu Mahasabha (ABHM) and its frontal organisation Vishwa Hindu Peeth celebrated Godse’ birthday as 'Balidan Divas' (Sacrifice Day). A havan was performed at 120 offices of Hindu Mahasabha in the entire country to glorify Godse’s killing of Mahatma Gandhi and label him as a hero. 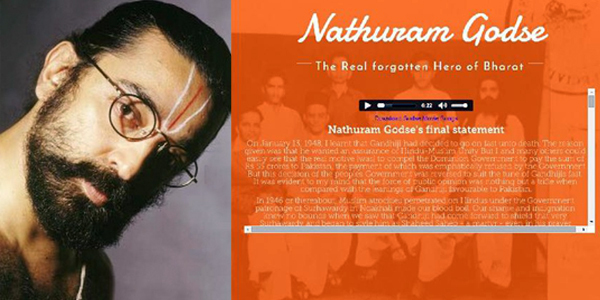 In Addition a website titled "Nathuram Godse - The Real Forgotten Hero" was also launched on Sunday November 15, 2015. With such an intolerant atmosphere do you think Gandhji’s Ahimsa will work?? ?